Are you ready to take your first baby steps in publishing your voice on LinkedIn? I’ve already blogged here on LinkedIn about how to use the LinkedIn publishing platform for various professional objectives as well as tips on how to write posts on LinkedIn that will get read. Now it’s time to roll up our collective sleeves and learn the mechanics of the platform itself. First of all, not all of you have access to the LinkedIn publishing platform yet, and LinkedIn acknowledges that it will take awhile before everyone has access. I might have gotten access before or after you, but you will gain access sooner or later. In writing your first blog post on LinkedIn, here are the main points from the video to consider. 1. How Will I Know if I Have Access to the LinkedIn Publishing Platform? I received an email from LinkedIn notifying me that I have access. Even if you don’t get an email, you will know if you have access if there is a pencil icon either to the side or below the paper clip icon in your post status update box in your LinkedIn home page. 2. How Do I Access the LinkedIn Publishing Dashboard Once I Have Access? The easiest way to access it is simply by pressing the pencil icon inside your post status update box on your LinkedIn home page. 3. What Does the LinkedIn Publishing Dashboard Look Like? The “ribbon” of options at the top for formatting, adding images, embedding videos and presentations, and linking. The main “body” where you will compose your blog post below it. A righthand bar which shows both your drafts, which are automatically saved by LinkedIn as you type them, as well as your recent posts. 4. What are the Main Features of the LinkedIn Publishing Dashboard Options? Heading 1/2/3/4: I did not use these preset formats on my previous blog posts, but I am using the Heading 4 for the 1 through 5 subject headings on this blog post. You don’t have to use them, and can merely bold a line to make it look like a subject heading. Undo/Redo: You should recognize these from word processing applications. Quote: For when you want a quote or particular sentence to really stand out in your post. Bullet Point List/Number List: Not necessary, but I am using a Bullet Point list right here to show you what it looks like. Link/Unlink: Allows you to insert, or delete, a hyperlink when someone clicks on text that you determine. Embed: LinkedIn presently allows you to embed YouTube videos and SlideShare presentations. I recommend the custom size 600 x 338 when you embed. See the video for an example of how to create that size and emebed. Upload Visual: The camera icon allows you to upload a GIF, JPG, or PNG image under 700kb in size. This is who I inserted the image at the beginning. Once again, please see the video for more details. 5. Is That It? Is Blogging on LinkedIn Really This Easy? 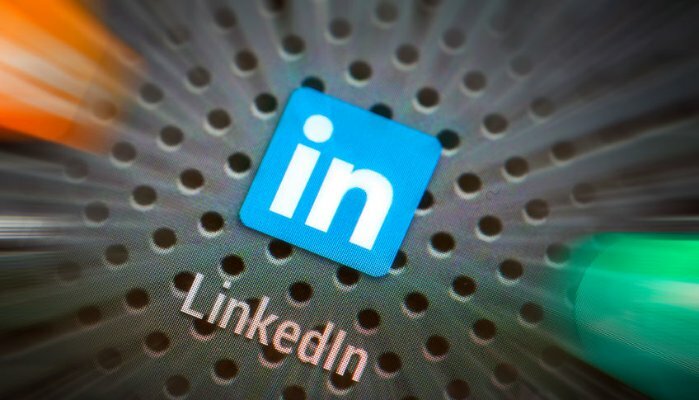 So what are you waiting for: Start sharing your professional story and expertise on LinkedIn! Now it’s your turn: Would you agree that LinkedIn created an eloquent and easy to understand platform? And while we’re at it, what else would you like to see me blog about here on LinkedIn? Finally, make sure you don’t miss my future posts and please follow me here on LinkedIn even if we’re already connected – and also check out the nearly 100 blog posts about LinkedIn on Maximize Social Business. Thank you!